Does it ever feel like you are in a hopeless cycle of trying to deliver network performance and security? Yet most approaches either deliver performance or security but not both. But it’s clear, network architects don't have the luxury to choose one or the other. They need to address the requirements of the security team to scale their security functions while not compromising network performance or simplicity. 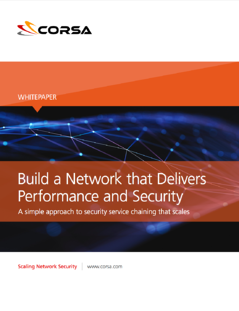 Download our white paper "Build a Network that Delivers Performance and Security: A Simple Approach to Security Service Chaining that Scales" to see how you can address the needs of the security team for complete visibility while not compromising network performance or simplicity.